Join me for a meditative savasana journey into sound. 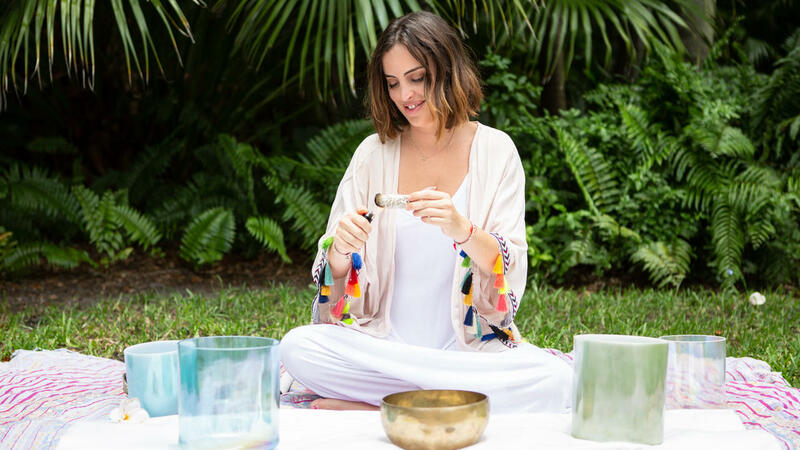 Come lay down, relax, and restore in the soothing sounds of alchemy crystal singing bowls, tuning forks, a crystal lyre and more… The perfect setting to dive into deep rest as your body and mind are bathed in sound. Instructions: We will begin on time, please arrive 15 min. before start time to prevent any disruptions. Requirements: You will be laying down during the entire sound bath. Please wear comfy clothes, & bring a reusable water bottle. LOCATION: OUR SPACE | Private Studio in Miami Shores, Florida. Exact address will be sent on the confirmation email.